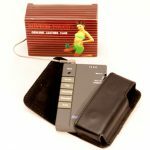 The Rhythm Touch Electrical Muscle Stimulator low frequency acu-therapy is useful for deep muscle and tissue pain relief. Pain is a very personal thing. For some people, it’s intense muscle and/or tissue pain that is never-ending and body-wide. For others, it’s pinpointed in one place and perhaps more of an occasional issue. Regardless of how the pain shows itself, those who experience it want one thing…relief. The answer is the Rhythm Touch Electrical Muscle Stimulator. It is a time-tested neuromuscular stimulation massager that provides deep muscle and tissue pain relief. It is also lightweight, portable and can be used almost anywhere. Use an electronic muscle stimulator for pain relief, muscle conditioning and improving circulation. Save 10% on Rhythm Touch Complete Kit and Packages. Join our email club for your coupon code. Muscle stimulation works by activating the nerves and muscles in your body. By using a combination of low frequency EMS (Electrical Muscle Stimulators) and TENS (Transcutaneous Electrical Nerve Stimulators), the Rhythm Touch is able to block pain signals to your brain and improve and facilitate muscle performance. To explain further, electrical muscle stimulators are state-of-the-art units that are scientifically designed to give your muscles a safe, fast and effective “workout”; low-frequency acu-therapy helps relieve the body of tension and stiffness. The Rhythm Touch uses low frequency EMS which is closer to body’s natural frequency (2-50 Hertz). This low frequency is accepted by body more readily and works naturally with longer lasting relief. The brain sends impulses to the muscles you are using during normal exercise causing them to voluntarily contract. An electrical muscle stimulation unit mimics the brain by delivering a gentle electrical pulse to the brain that mimics the brain’s normal impulses. Theses impulses cause the muscles to contract and then relax, as if the message were coming from your brain. The body responds by sending extra blood and oxygen to the area being exercised. This increased circulation is the same natural process used by the body when in need of healing. The Rhythm Touch has been providing people with pain relief for over 20 years. 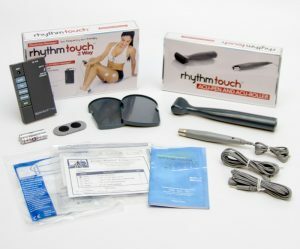 In fact, thousands of users have benefited from the Rhythm Touch longer than any other brand since 2003. Through diligent research, we have found no other brand to match the benefits our electrical muscle stimulator provides. Save 10% on Rhythm Touch Complete Kit and Packages. Join our email club for coupon code. It is a safe, non-addicting method for treating pain and the Rhythm Touch has been proven to be a secure choice for over 20 years. Used as directed, electrical muscle stimulators are very safe, reliable and, in fact, have been used by the medical community for many decades. The technology continues to be used extensively in hospital settings, physical therapy clinics, and is used by chiropractors, spas, and health clubs. It is effective. The combination of TENS and EMS treatments not only blocks the transmission of pain but it also helps condition muscles at the same time. Not all electrical muscle stimulators on the market provide the combination of both modes. This is the easiest to use electrical muscle stimulator on the market. It’s so simple that you turn it on, pick the sensation you want to feel, and then select the desired strength. There are three main programs that you choose from to receive the desired effect but you may also select the automatic option and let the Rhythm Touch dictate the settings for maximum results and relief. You will experience pain relief quickly without taking hours to figure out how it works. It’s simply that easy to use! It’s portable. Use it at home, at work, at the gym…wherever and whenever you require pain relief. 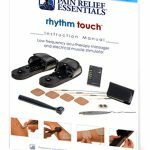 The Rhythm Touch Electrical Muscle Stimulator is an amazing pain-relief product on its own but the addition of specialty items increases the desired pain-relief results. An Acu-Roller, Acu-Pen for acupressure therapy, and the Acu-Flex Pad come with the Rhythm Touch Package. 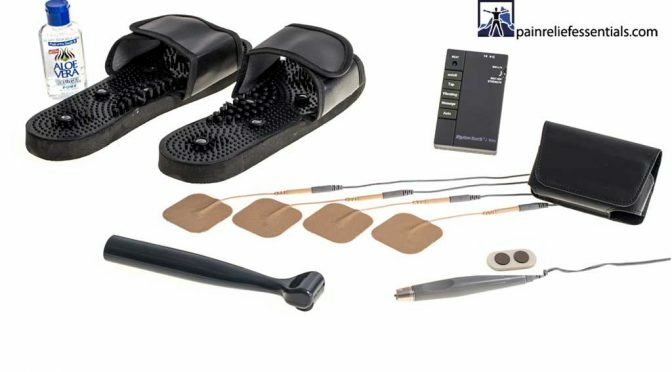 These specialty items are unique and incredibly effective for acu-therapy. The Acu-Roller is a great way to treat more than one area at a time. With its unique non-stick roller design, the Acu-Roller is free to move around, treating larger or different areas consecutively. The Acu-Pen for acupressure therapy is considered a non-painful alternative to acupuncture. The Acu-Pen is designed for small areas of the body, such as hands, feet and temples. Without needles, it operates along the theory of ancient Chinese theories by stimulating the body’s natural electrical signals, activating the normal healing process. By using any Acupressure or reflexology books or online resources, you may determine the reflex point that corresponds with your ailment. And the Acu-Flex Pad is a non-adhesive version of the Gel Pads. It is an excellent component to use on those sensitive areas. It brings the Rhythm Touch therapy to sensitive areas and can help loosen contracted, shortened muscles and can stimulate weak, flaccid muscles. Why Buy From Pain Relief Essentials? Rhythm Touch Massagers come with a one year factory warranty. But because we firmly believe this product will help you find relief through its unique acu-therapy, Pain Relief Essentials is automatically extending the factory warranty to FIVE FULL YEARS if purchased through us. We’ve been selling these amazing machines for so many years with so few problems that we can now offer you the best security available for your purchase. And if you do need repair, Pain Relief Essentials is the first company in the US to take care of your need directly. Buying from Pain Relief Essentials guarantees the best support available for our direct customers. Read Frequently Asked Questions about the Rhythm Touch and electrical muscle stimulators. Read our Rhythm Touch reviews at the bottom of this page.